Single pilot resource management (SRM) is defined as the art and science of managing all the resources (both onboard the aircraft and from outside sources) available to a single pilot (prior to and during flight) to ensure the successful outcome of the flight. SRM includes the concepts of ADM, Risk Management (RM), Task Management (TM), Automation Management (AM), Controlled Flight Into Terrain (CFIT) Awareness, and Situational Awareness (SA). SRM training helps the pilot maintain situational awareness by managing the automation and associated aircraft control and navigation tasks. This enables the pilot to accurately assess and manage risk and make accurate and timely decisions. SRM is all about helping pilots learn how to gather information, analyze it, and make decisions. Although the flight is coordinated by a single person and not an onboard flightcrew, the use of available resources such as air traffic control (ATC) and automated flight service station (AFSS) replicates the principles of CRM. SRM is about gathering information, analyzing it, and making decisions. Learning how to identify problems, analyze the information, and make informed and timely decisions is not as straightforward as the training involved in learning specific maneuvers. Learning how to judge a situation and “how to think” in the endless variety of situations encountered while flying out in the “real world” is more difficult. There is no one right answer in ADM; rather, each pilot is expected to analyze each situation in light of experience level, personal minimums, and current physical and mental readiness level, and make his or her own decision. SRM sounds good on paper, but it requires a way for pilots to understand and use it in their daily flights. One practical application is called the “Five Ps” (5 Ps). 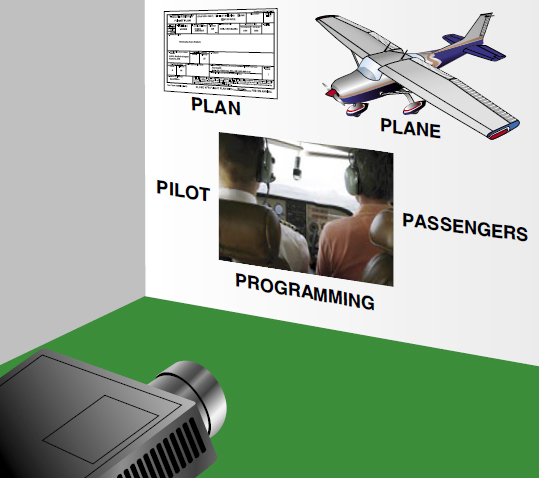 [Figure 9-8] The 5 Ps consist of “the Plan, the Plane, the Pilot, the Passengers, and the Programming.” Each of these areas consists of a set of challenges and opportunities that face a single pilot. And each can substantially increase or decrease the risk of successfully completing the flight based on the pilot’s ability to make informed and timely decisions. The 5 Ps are used to evaluate the pilot’s current situation at key decision points during the flight, or when an emergency arises. These decision points include preflight, pretakeoff, hourly or at the midpoint of the flight, predescent, and just prior to the final approach fix or for visual flight rules (VFR) operations, just prior to entering the traffic pattern. Figure 9-8. The 5P checklist. The 5 Ps are based on the idea that the pilot has essentially five variables that impact his or her environment and that can cause the pilot to make a single critical decision, or several less critical decisions, that when added together can create a critical outcome. This concept stems from the belief that current decision-making models tend to be reactionary in nature. A change must occur and be detected to drive a risk management decision by the pilot. For instance, many pilots use risk management sheets that are filled out by the pilot prior to takeoff. These form a catalog of risks that may be encountered that day and turn them into numerical values. If the total exceeds a certain level, the flight is altered or cancelled. Informal research shows that while these are useful documents for teaching risk factors, they are almost never used outside of formal training programs. The 5P concept is an attempt to take the information contained in those sheets and in the other available models and use it. The 5P concept relies on the pilot to adopt a scheduled review of the critical variables at points in the flight where decisions are most likely to be effective. For instance, the easiest point to cancel a flight due to bad weather is before the pilot and passengers walk out the door to load the aircraft. So, the first decision point is preflight in the flight planning room, where all the information is readily available to make a sound decision, and where communication and Fixed Base Operator (FBO) services are readily available to make alternate travel plans. The second easiest point in the flight to make a critical safety decision is just prior to takeoff. Few pilots have ever had to make an emergency takeoff. While the point of the 5P check is to help the pilot fly, the correct application of the 5P before takeoff is to assist in making a reasoned go/no-go decision based on all the information available. These two points in the process of flying are critical go/no-go points on each and every flight. The third place to review the 5 Ps is at the midpoint of the flight. Often, pilots may wait until the Automated Terminal information Service (ATIS) is in range to check weather, yet at this point in the flight many good options have already passed behind the aircraft and pilot. Additionally, fatigue and low-altitude hypoxia serve to rob the pilot of much of his or her energy by the end of a long and tiring flight day. This leads to a transition from a decision-making mode to an acceptance mode on the part of the pilot. If the flight is longer than 2 hours, the 5P check should be conducted hourly. The last two decision points are just prior to decent into the terminal area and just prior to the final approach fix, or if VFR just prior to entering the traffic pattern, as preparations for landing commence. Most pilots execute approaches with the expectation that they will land out of the approach every time. A healthier approach requires the pilot to assume that changing conditions (the 5 Ps again) will cause the pilot to divert or execute the missed approach on every approach. This keeps the pilot alert to all conditions that may increase risk and threaten the safe conduct of the flight. Diverting from cruise altitude saves fuel, allows unhurried use of the autopilot, and is less reactive in nature. Diverting from the final approach fix, while more difficult, still allows the pilot to plan and coordinate better, rather than executing a futile missed approach. Let’s look at a detailed discussion of each of the Five Ps. The plan can also be called the mission or the task. It contains the basic elements of cross-country planning, weather, route, fuel, publications currency, etc. The plan should be reviewed and updated several times during the course of the flight. A delayed takeoff due to maintenance, fast moving weather, and a short notice temporary flight restriction (TFR) may all radically alter the plan. The plan is not only about the flight plan, but also all the events that surround the flight and allow the pilot to accomplish the mission. The plan is always being updated and modified and is especially responsive to changes in the other four remaining Ps. If for no other reason, the 5P check reminds the pilot that the day’s flight plan is real life and subject to change at any time. Obviously weather is a huge part of any plan. The addition of real time data link weather information give the advanced avionics pilot a real advantage in inclement weather, but only if the pilot is trained to retrieve, and evaluate the weather in real time without sacrificing situational awareness. And of course, weather information should drive a decision, even if that decision is to continue on the current plan. Pilots of aircraft without datalink weather should get updated weather in flight through an AFSS and/or Flight Watch. Both the plan and the plane are fairly familiar to most pilots. The plane consists of the usual array of mechanical and cosmetic issues that every aircraft pilot, owner, or operator can identify. With the advent of advanced avionics, the plane has expanded to include database currency, automation status, and emergency backup systems that were unknown a few years ago. Much has been written about single-pilot IFR flight both with and without an autopilot. While this is a personal decision, it is just that—a decision. Low IFR in a non-autopilot equipped aircraft may depend on several of the other Ps to be discussed. Pilot proficiency, currency, and fatigue are among them.